Marble figurines made ca. 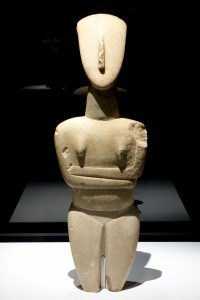 5000 years ago in the Cycladic Islands of the Aegean became all the rage for collectors, and a great influence in Modernist Art. Easily looted and almost as easily faked, these objects have a unique role in the modern world. The question is, what was their role in the ancient world? Gill, D. W. J., and C. Chippindale. “Material and intellectual consequences of esteem for Cycladic figures.” American Journal of Archaeology 97 (1993): 601-59. Chippindale, C., and D. W. J. Gill. 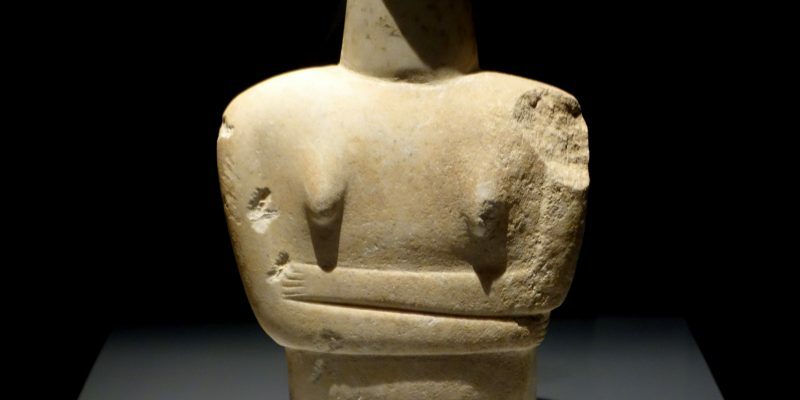 “Cycladic figurines: art versus archaeology?” In Antiquities: trade or betrayed. Legal, ethical & conservation issues, edited by K. W. Tubb (1993): 131-42. I’ve been channeling the FAFs lately. I had the arms backwards though.